Michael Stone, the killer of Dr Lin Russell and her daughter Megan, has lost his appeal against his conviction for their 1996 murders. 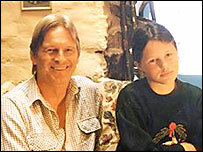 Stone was also appealing against his conviction for the attempted murder of Josie Russell, aged nine at the time. On Wednesday, judges at the Court of Appeal in London upheld the conviction handed down at his second trial. Stone is serving three life sentences for the hammer attacks, which happened in Chillenden, Kent. His sister Barbara pledged to continue the family's fight to clear Stone's name and said she was planning an approach to the House of Lords. Three judges rejected Stone's second appeal and will outline the reasons why in court on Friday. A statement issued by Shaun Russell, Josie and Megan's father, said: "I am satisfied that Kent Police did the best possible job given the difficult circumstances surrounding our case. "The justice system has taken its course and as far as I can see it has been fair to all parties. "Josie and I have made an effort to put our memories of this terrible affair behind us, especially as nothing can bring back Josie's mother Lin and sister Megan. "We would be grateful if we could be left in peace with our happy memories of the ones we have lost, and to get on with our lives in as private and undisturbed a way as possible." 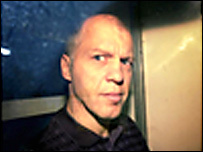 Evidence given at Stone's second trial, that he allegedly confessed to Damien Daley, an inmate in Canterbury prison, was disputed during the appeal. Daley, who was in a neighbouring cell while Stone was on remand, had claimed that he heard a voice "through the pipework" confessing to the killings. Outside the court, Stone's sister Barbara, who has backed her brother's attempts to prove his innocence, said their fight would go on: "We are hoping to go to the House of Lords. "Damien Daley is a liar and I stand by that. "I had hoped this great British justice system would understand that Daley can lie. He's a heroin addict. "There isn't a scrap of evidence. There is the word of one heroin addict - a cell confession. "We want justice, all of us. 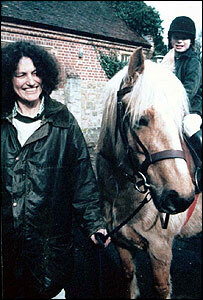 We want the true murderer apprehended and caught and put in prison where he belongs." Stone, who was given three life sentences, had always denied the attacks. Dr Russell, 45, and her daughters were attacked with a hammer by Stone as they walked home from a swimming gala.